Yes, we are looking at contemporary bathrooms here, which is just as good a design path to take as traditional; it all depends on your taste and your home. But the trick is how to achieve a gloriously modern look in your bathroom while still maintaining the high level of functionality that you will need. Well, here are a few suggestions. 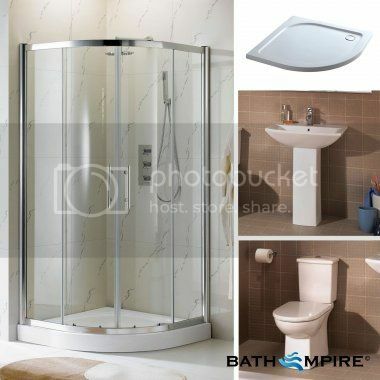 The suite elements of your bathroom are, undeniably, going to be the ones that really grab the attention. To this end, you must ensure that they correspond to modern styling. A back to wall toilet offers minimalism due to its concealed cistern, for instance, while take pains to pick out basins and baths that evince a contemporary essence. Think stark lines and little embellishment – scrolled edgesand filigrees and the like tend to err on the side of the traditional. The above tenets apply to the small things as well as the big things. Items such as taps cannot be overlooked, and should be used to further your design ends. Smooth, monoblocmixer taps are one good addition, while the really cool models now are waterfall taps. These mimic the gravitational action of a rushing waterfall by delivering the water in one long cascade, which looks fantastically unique. Showers are showers, true, but modern sets are available. Your best bet is to maintain the minimalist vibe with a concealed set. Shower heads are really where it is at here though. For one thing, LED shower heads are now very popular. These bedizened units have lights embedded in them, which then activate under the pressure of the water. This then cycles through a number of hues depending on the water temperature, casting gorgeous light across your bathroom. Furniture for storage is an essential, unless you’re happy to have your standard bathroom accoutrements scattered messily all over the place! Choose wisely here though – standard wood units can tend towards the more classic look. Try and source darker woods, or go for a black or white gloss. Concealed opening mechanisms also add to a streamlined, modern look. Yes, it’s practical first and foremost, but there is a design component to your chosen radiator too, you know. Vertical radiators are achingly cool, and when teamed with an anthracite or black gloss finish, they present a wonderfully modern look. Flat panels match up well with minimalist (that word again!) designs, and for real function definitely consider an electrical element, as an electric towel radiator can save you money on your bills while also adding flexibility to your heating system.